Home / own blog / Where to set up a free blog in 2018? Where to set up a free blog in 2018? To increase your earnings, which we will achieve online. It is worth having a blog, it gives not only earnings but also motivation, you can use it as a journal. Some pages also give the opportunity to exchange between pages, like investment pages. So if you do not have a website then you simply do not use this free opportunity to promote something. Today I will present you some free platforms where you can set up your first blog. Why a blog on a free platform? Nobody said you could earn anything. Most people, when they start writing a blog, do not think about it. They just like to do something and want to share this knowledge with others. In addition, you probably did not go to this site to invest in something. Rather, you would like to earn a few pennies, and if the blog, the site will be popular, then you'll just be able to think about it more seriously. It may also turn out that it is not for you. So it's always better to try it on the free site of this method. Writing is not a simple thing as if it seemed, moreover, when running a blog, we can also encounter many problems, technical and not only. This is a blog platform supported by Google. It will be the perfect solution for you if you are a layman blogger and you will be exploring the art of blogging. One of the most important advantages of Blogger is that you will not have to pay extra for hosting services and buying a domain for ownership. It is therefore a good choice for people who want to set up their own blog, at the same time incurring minimal costs. 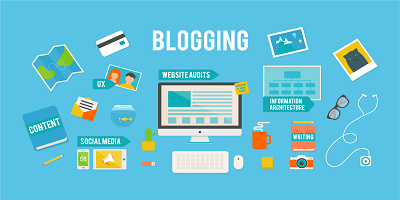 You should be interested in blogger if you're just experimenting and you do not have the deep conviction that your blogging adventure will be long-distance. The hosting offered by Blogger does not cause any major problems. You do not have to worry about interruptions in access to your blog, which sometimes happen when using paid external hosting. An additional advantage may be the simplicity and intuitiveness of the entire solution - to create your own place on the web, just set up a Google account and voila, it's ready! Remember, however, that each stick has two ends. On Blogger, you have limited possibilities of customizing your blog. you get your own domain directly on Blogger, is integrated with AdSense, ease of use even for beginners. to make changes, modify the main code which can be an obstacle for novices. He gained world-wide recognition of bloggers who are eager to use it because it gives unlimited possibilities. You can use it to create your own blog, but it's just a portion of what can be squeezed out Depending on your needs on WordPress, you can create your website, discussion forum, educational platform or online store. Using this platform, you can expand and personalize its functionalities for your needs, because you can easily find many free add-ons, plug-ins or templates on the web. In addition, WordPress is a huge community of users and, if necessary, it is very easy to get support by looking at discussion forums. 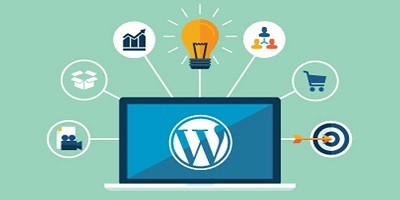 An additional advantage is that the blogs put on WordPress are usually better positioned in search engines, so that the reader will be easier to reach you. gives the user the option of setting up an online store. frequent fuckup plugins that can put a page. 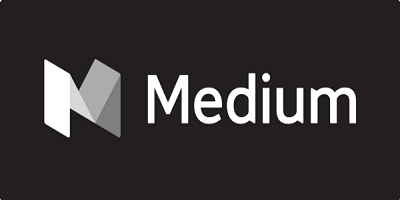 The Medium blog platform is the child of co-founder Twitter-Evan Williams. The medium has become a new place on the Internet, in the premise intended for publication not too short and not too long texts. The main advantage of this platform is transparency and appreciation through the recommendation of valuable content created by ordinary people, and not widely recognized in the world of the person. The medium stimulates the development of social journalism and places great importance on establishing interaction between users. To use this platform, just enter it and just write something - nothing simpler! Texts that gain the approval of the community are further recommended by it, and sometimes also modified (this enables adding quotes and underlining in specific places of the text). The decisive advantage of this solution is to deepen the level of discussion on the Internet and stimulate the involvement of recipients. As a creator on the Medium you have the opportunity to create a unique image of your publication, by choosing the preferred color, layout ​​and navigation bar. You also do not need to worry about hosting and technical issues. If you already have your blog or website on another platform, you can easily move your content to Medium using a dedicated tool. Do you want to make money from your publications? Nothing easier! The medium gives you the opportunity to monetize your activities in two ways. The first are Promoted stories, that is publishing content co-created with partners. This is an option for people who have already gathered around their publications to gather a loyal audience. The second option is the Membership program, according to which, in exchange for a monthly fee, some publications will be available only to members paying a subscription. the possibility of creating a newsletter without external tools such as Mailchimp. you can not use your own domain. As you can see, there is a good choice in the topic of setting up your own blog. Everyone has their own pros and cons. In my opinion, all the alternatives are good, but it's up to you which one you choose. 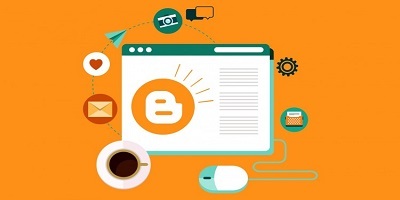 There are several platforms that also offer the option of setting up your own blog. But I decided to leave it at another moment. Let's give our head some rest.